LMI Technologies is changing the way we experience 3D measurement for factory automation. By developing all-in-one 3D smart sensors that are easy to use, flexible, and extremely powerful, our technology is making part inspection and 100% quality control easier to accomplish around the world. The Gocator 1300 series of smart laser displacement sensors are the next generation of high speed (32kHz) distance measuring devices. Use Gocator® 2100 for cost-effective inline quality inspection applications where the highest resolution is not required. The Gocator 2300 series of 3D Megapixel smart sensors reduces the cost of factory automation by making product validation easy to implement and maintain. Simple to integrate and industrially designed for the rugged needs of the factory floor, Gocator 3D smart sensors are packed with built-in tools that can have a big impact on your bottom line. The Gocator 2320 produces repeatable results under high production volume on your electronics assembly line. It can easily achieve outstanding Z repeatability under 5um and X resolution under 20um for non-contact scans of even the smallest, most complex parts. 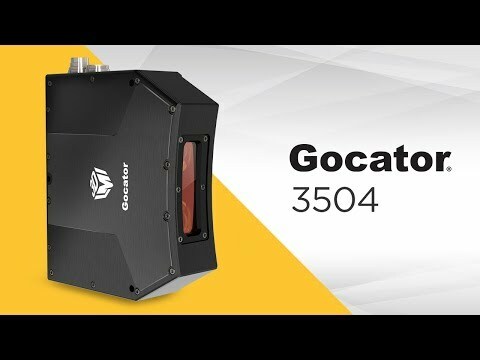 Gocator 3504 is the highest-resolution 3D snapshot sensor on the market today. Its combination of 6.7 µm XY resolution and 0.2 µm Z repeatability make this sensor ideal for detailed inline inspection of small electronic parts. An industrial stereo camera design helps see more of the part while delivering exceptional measurement stability. Gocator 3504’s 5-megapixel stereo camera reduces occlusion and allows you to measure tiny features in a single snapshot, with the highest resolution and accuracy for an industrial structured light sensor on the market today. Measure micron level features with the 2400’s 2 megapixel camera and large field of view. Scan parts for even the smallest defects and achieve superior results for 3D quality inspection. Gocator 2410 and 2420 3D smart sensors are designed for the exacting demands of electronics and medical component inspection. With the latest 2 MP imaging technology and a new processor, these sensors achieve fast scan speeds, the highest X resolution in the industry and excellent Z repeatability (0.2 µm). Plus, their use of blue lasers means they generate “cleaner” data and highly reliable results even on shiny surfaces.